Andhra Pradesh has emerged as a state in India with well-developed social, physical and industrial infrastructure. The state has also attracted a lot of FDI’s during the past decade. With an outstanding infrastructure of ports and airports, the state has an edge for business w.r.t. exports and manufacturing activities. As until now, the state has 20 operational SEZ’s which again shows the thrust of Andhra Pradesh’s Government on business development in the state. The government has tried to keep the taxes as beneficial for its trade and businesses as possible. During the VAT era, for tracking the movement of goods so there’s no leakage of revenue in the state, Andhra Pradesh had notified transit pass system. Back in 2005, the state government has notified the goods on whose transit, the advance waybills will be required to be generated. With the coming in of e-Waybill, all the older requirements have been terminated as of now. For inward movement of goods, a Form X or 600 was required to be generated electronically in triplicate. For the outbound goods, Form 602 was prescribed and required to be generated in triplicate as well. As on today, the requirement for generating waybills had been put on hold by the state government by an order issued after rolling in of GST after July, 2017. Now by an order issued on 11th April 2018, for the movement of goods within the state from 15th April 2018 onwards, e-Waybill will be required to generate where the value of goods being transferred exceed Rs, 50,000. Andhra Pradesh along with four other states has agreed for the same and the transit pass requirements have been made mandatory for dealers in Andhra Pradesh. For the generation of Eway bills through the online portal, the dealers have to visit the NIC Portal. The dealers are required to register themselves on the portal using their GSTIN and then they can start generating Eway bills for movement of goods. The details like consignee name and address, item description, a value of goods, quantity, etc. are to be provided for generating the Eway bill. The form to be filled is pretty much self-explanatory and has been made user-friendly for the dealers. The Central Government has also brought in a channel of generating e-Waybills though SMS. For using this service, please follow the steps as shown here. An Eway bill is valid for the below mentioned periods which are broadly based on the distance traveled by the goods in transit. The validity of theEway bill is calculated from the date and time when the Eway bill was generated. The validity of Eway bill can be extended also. The generator of such e-Waybill has to either four hours before expiry or within four hours after its expiry can extend Eway bill validity. 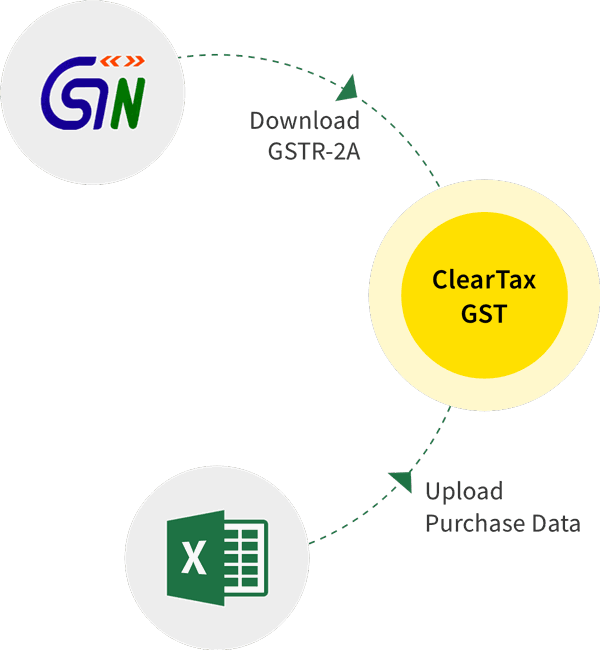 A dealer has an option to reject the Eway bill generated by any other party (recipient or supplier) using the dealer’s GSTIN. For example, if the consignment didn’t reach the destination at all as it was canceled on the way, the recipient may reject the Eway bill. Login to the Eway bill portal and click on ‘Reject’. The list of all Eway bills that were generated on the selected date appears. Tick mark the Eway bills you want to reject. A message appears on the screen once the Eway bill is successfully rejected. Note: The acceptance or rejection of the Eway bill can be communicated. If the communication of acceptance or rejection is not sent within 72 hours, the Eway bill is automatically deemed to be accepted. If the goods were never transported or are not transported as per the details furnished in the Eway bill, then the generator of such e-way bills can cancel the Eway bill by following the steps below. Give a suitable reason for cancellation. For example, the goods are not being moved, incorrect entry in the Eway bill entered. Eway bills can be canceled by the generator of such Eway bills only. The time-limit to cancel is within 24 hours of generating the Eway bill. Once canceled, it is illegal to use such Eway bill. If the Eway bill verified by any empowered officer it cannot be canceled. In the state of Andhra Pradesh, a common issue which the retail traders feel is the rate of 5% on textiles and 12% on readymade garments is quite high. This has led to steep fall in the businesses as earlier there was no tax on yarn and cotton textiles. The VAT on readymade garments also was between 5 to 7.5 percent. Due to this, the smaller dealers and traders have incurred huge losses. The problem is primarily being faced by the small-scale dealers. Also, a large group of exporters faces problems with the refunds related to GST on exports. They feel that where the proper flow of refunds is lacking, the working capital for the dealers are blocked and it creates hardships for them in conducting business smoothly.